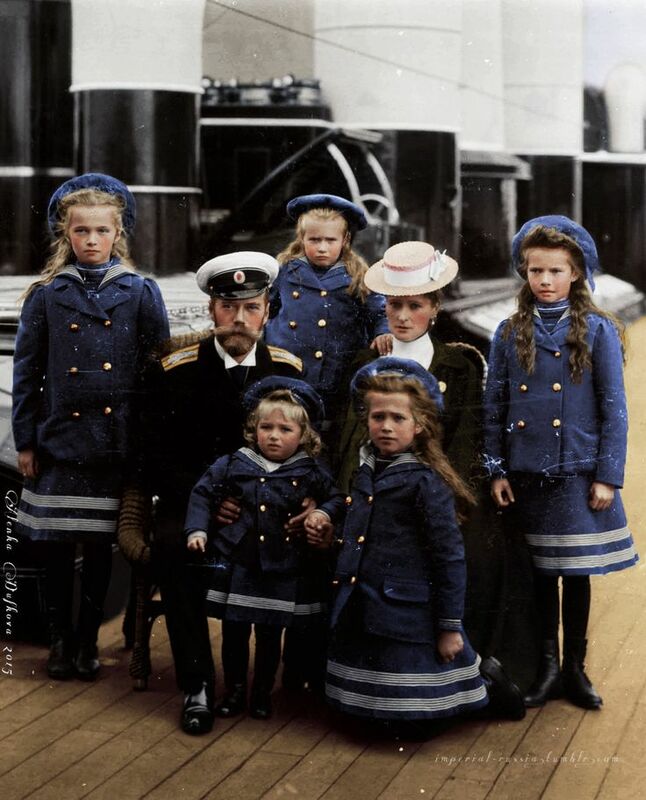 Most of us are aware of the heinous crime committed against the last Romanov family and how innocent children were dragged into something that they had nothing to do with. I have written about this before and I will write about it again. 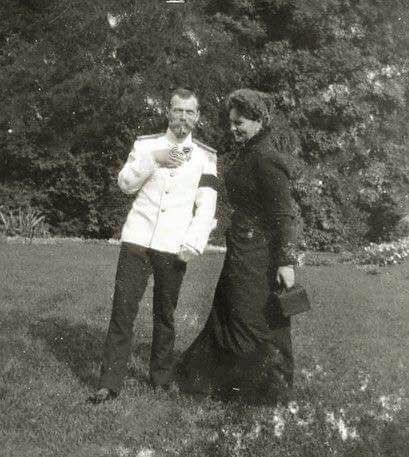 Yes, I am in love with the love story between Tsar Nicholas II & Princess Alix of Hesse. So let me explain a little about how it all began – before all the heartache, pain & suffering of ruling one of the most powerful and revered dynasties of Europe. After the wedding, Alix said her farewells to her sister as well as Nicholas. She retired to the Darmstadt Palace in Germany which was her home. 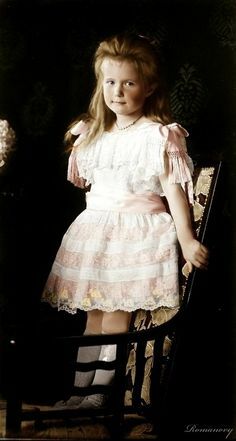 Alix was also a royal like Nicholas. 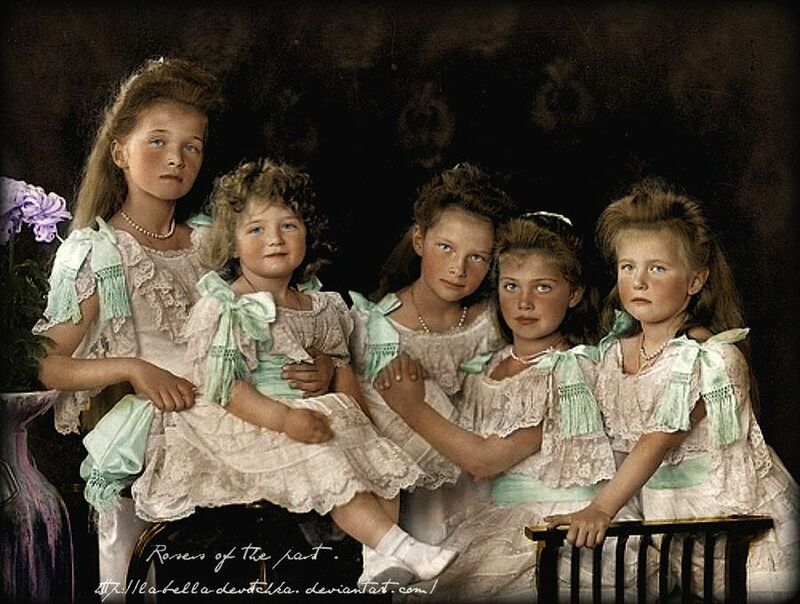 Five long years passed before Princess Alix would return to Russia. On meeting once more the two fell even more deeply in love with Nicky stating he wanted her to be his wife. But Nicky’s parents refused for him to marry a German princess. They despised Germans as did almost every Russian. 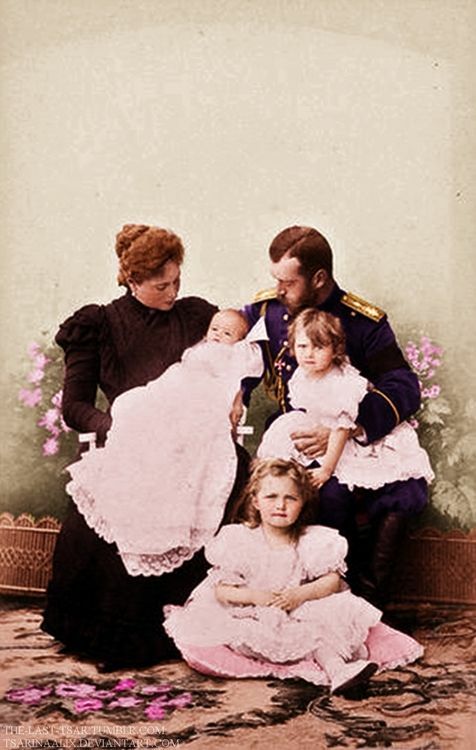 Tsar Alexander III and Tsarina Marie Feodorovna ( were his parents,his mother was known to be one of the most elegant & beautiful women in Russia). Nichlolas’ parents were the Royal Emperor & Empress hence he, being their eldest son was the Tsarevitch. Heir to the Russian throne. More years passed. This time Love letters (written in English) flew back and forth between the lovesick pair. How cute !! Why can’t people still write love letters? Oh please! “Mathilde Kschessinska engages me in a positive light,”. The 18-year-old ballerina requited his sentiments: “I fell in love with the heir on our first encounter… The feeling completely filled my soul, I could only think of him,” she said. So, they had a house that he would visit and this continued till 1984. Sometimes a person is imprinted on the heart and no matter how hard you try to erase that person, she or he will always be on your mind. For Nicholas it was Alix ( not going to lie I had to remove my glasses for a moment to shed a tear and then realise everything was fuzzy, so back pop on the glasses). Nicky’s parents continued to wage a fierce campaign to find Nicky a suitable bride. 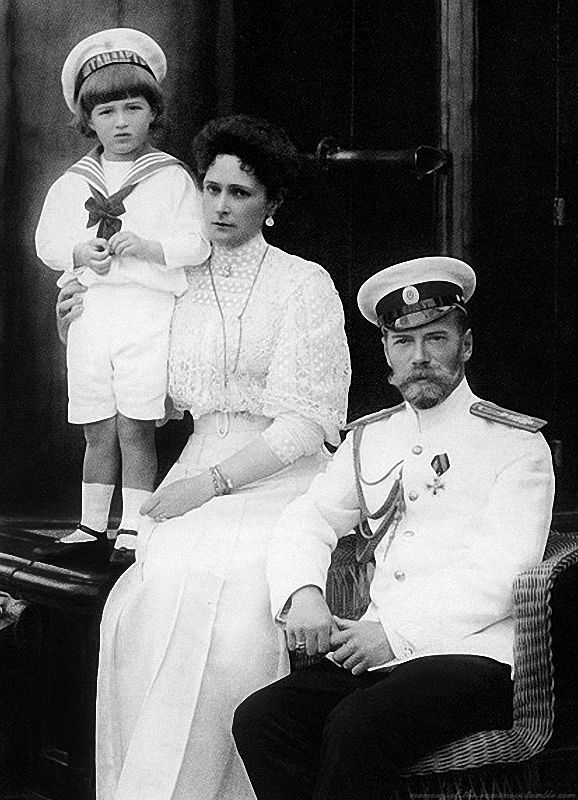 The Tsar hoped to land a bigger (basically pricier) catch for his son than Princess Alix (even though she was his godchild!). Hence began the magnificent ballroom dances & parties where groups of royal princesses flaunted themselves around their son. But Nicky stood firmly against each proposed match, declaring flat-out that he’d become a monk rather than marry anyone ugly and boring when he could have the tall and lovely blue-eyed beauty Princess Alix as his wife and royal consort. Alix’s requirement for the engagement were to convert from Lutheranism to the Russian Orthodox religion and its a very complex religion not to mention strict. 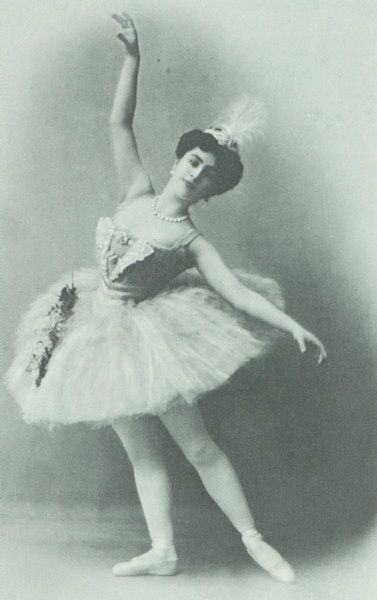 She took the Russian name “Alexandra Feodorovna” to gain more love from the people. Nicholas & Alexandra planned a spring 1895 wedding. Will you look at that LOL . 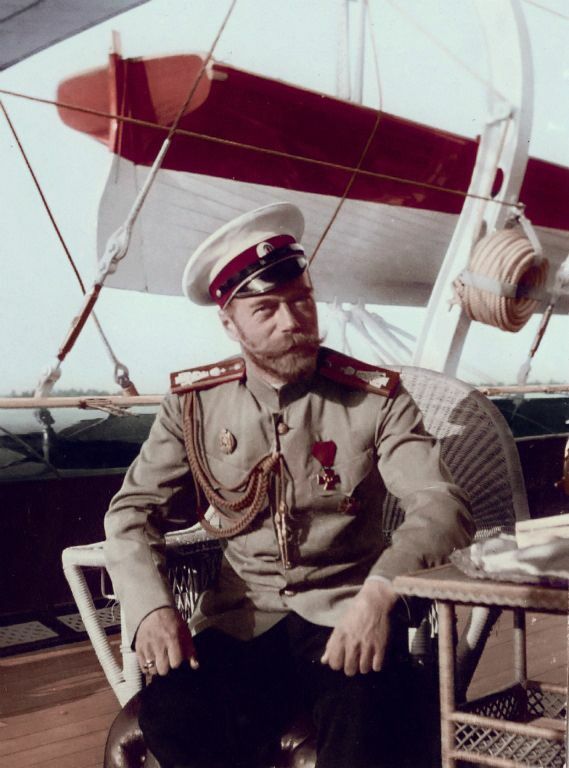 But their plans were thrown in disarray by Alexander’s sudden death in November and Nicholas’s ascension to the throne as His Imperial Majesty, Tsar Nicholas II. Nicholas persisted that the wedding date be moved forward, as he wanted Alix by his side to help him rule. They married a swift three weeks later. He was 26. Alix, now called Empress Alexandra,was 22. This picture will always haunt me. There were times Nicholas was away for months yet he never once forgot to keep in touch with his wife. In an era where the technology was far less advanced he still managed to make things work in the form of letters. I found a few and some beautiful pictures which I will share with you. The ending of this love story was horrific. I truly wish it never finished like this. However , till the very end they stayed together. 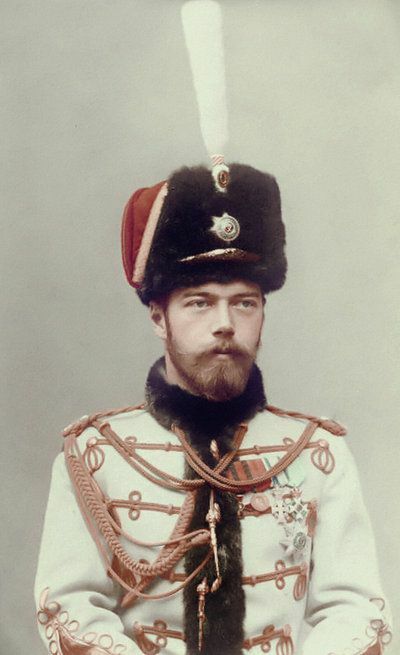 Alix didn’t leave his side & when the order was declared, the bayonets pointed towards Tsar Nicholas’s chest. The last person in the room he looked towards was “sunny” . Tsar Nicholas II: I wonder too. Only I know I could never live without you… Sunny. Lets hope we all find a love like Tsar Nicholas’ and Alix without the tragedy. Imagine how beautiful that would be ! My beloved sunny. I love you with an undying love; As you see, I could call it “un puis d’armour” . And this after twenty years. God bless you my darling. May he guard you and the children. Previous Post Is this .. Pakistan?